Chuck and Cyndy were excellent overall. They know Central Florida well including some of the construction pitfalls to look for depending on the age of the house. They were always quick to respond to any questions and did so in a knowledgeable and friendly way. I highly recommend using them to buy your next home or sell your current one. – Greta N.
Chuck and Cyndy are everything you need in a realtor. They are both professional, highly knowledgeable, articulate and best of all highly passionate about their jobs. I mostly worked with Chuck when my wife and I bought our home and his responsiveness gave the appearance that we were his only client and that was certainly not the case. There are many decisions to be made when it comes to buying a home and they are extremely patient while standing ready to objectively answer all questions you may have. Chuck delivered key information to me about a house my wife and I were considering buying that fortunately helped guide us in a different direction. The advice given only comes with experience and it was just one of many conversations with Chuck that proves he’s seen it all in the realtor business. I highly recommend Chuck and Cyndy. – Joe L.
Working with Chuck and Cyndy was an extreme pleasure. My Fiancé and I were buying our first home so we were walking down a new but exciting path. They took us to many different houses all over the city without any hesitation until we found the one we ultimately purchased. They went above and beyond any of our expectations even as to working with us while they were on vacation out of the country. Even after purchase they followed up several times to make sure there were no issues they could assist. I would highly recommend them to any potential buyer or seller as I guarantee you will be getting the best service possible in the market. – Bryan S.
They helped us find our dream home! They made us feel like we were their only clients in that they responded quickly & fought to get us a good price. They explained how the home buying process works & even came to our closing. We were almost sad when the process was over because Cyndy truly became a part of our family. I recommend them to everyone looking to buy or sell! Very professional & personable! – Lizzie H.
Chuck and Cyndy were absolutely amazing. They were able to sell our home very quickly and helped us every step of the way to purchase our new home. They went above and beyond to make sure we understood what we needed and were able to offer incredible advice. We couldn’t have asked for better team to represent us and would recommend them to anyone looking at buying or selling a home. Thank you Chuck and Cyndy, we love our new house and couldn’t have done it without you both! – Bill S.
They are some of the best professionals I have ever met. Unlike a prior realtor which told us that open houses were out of date, Chuck and Cyndy held one, and we actually got a buyer that same day. We closed about a month later. They work hard and don’t cut corners. They also go over and above the typical list of duties of a realtor and are great at handling difficult situations. They are at their phones at all times. I highly recommend them and hope to use them again in the future. – Amanda S.
The amount of professionalism that Chuck and Cyndy Valence have is incredible. They do not hesitate when it comes to promoting the house they are trying to sell. Constantly working and getting things done to push the house for sale makes these two the best realtors I have done business with! I would recommend them if you want to get your house sold and not play any games in the process. Your time will not be wasted and they will give you the results you desire. – Bobby S.
It was a pleasure working with them, they are both very professional, no pressure when showing houses. Always on time and willing to help. They were very patient with us and looked always for our best interest. We highly recommend them! – Omayra N.
Chuck and Cyndy worked really hard on our behalf and kept us well informed. They screened potential buyers so that our home was shown to serious persons only. They helped us with several issues and tasks above and beyond what is normally expected of a realtor. They made our selling experience a pleasure. Ron R.
Chuck and Cyndy were great to work with and went the extra mile to ensure we got the perfect home. We had a demanding schedule and they always were available for a showing, their hard work found us the home we were looking for in a competitive market. Thank you. 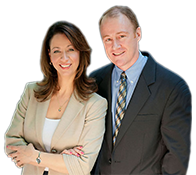 – Josh L.
Chuck and Cyndy are a professional realtor team that work together to ensure your selling experience is the best it can possibly be. Starting with understanding your situation, they then move forward to an evaluation of your home and what they believe the asking price should be. Then they work with you to make the changes needed to ensure your home is presented in the best shape possible. After that, they take the maximum number of pictures possible for the MLS listing. Finally, they are responsive to requests for showings and negotiating offers from potential buyers. As an example, our townhouse was listed on a Saturday, shown the day after and we had a full price offer that evening, barely 24 hours later. At the same time, another, albeit smaller condo, directly across the street, has sat on MLS for over 100 days with hardly any traffic. This was our 5th transaction with Valence Realty Group (4 sales and one purchase). We enthasiastically recommend them to anyone looking to buy or sell a home in the Central Florida area. – Earl S.
Chuck and Cyndy were absolutely wonderful. This was our first home purchase and they took so much stress out of the process, always making us a priority no matter how busy they were, which was awesome! We are also a military family just out of the service and Chuck was incredibly helpful and knowledgeable when it came to the VA loan and what all that it entailed. We really could not have asked for a better real estate team to find us our home. We would recommend them to anyone, especially military families! The customer service of Valence Realty is impeccable! When looking at a home, Chuck was 100% honest about possible problems or drawbacks, and he is extremely knowledgeable in his field. What he doesn’t know, he immediately researches it for you, and finds an answer. He was genuinely interested in finding a home that met my needs/desires, no matter the number of homes we looked at. I could contact him with questions at any time of the day or night, and his response time was immediate. Once I found my home, the transition of ordering inspections/appraisals/etc. was flawless. If Chuck couldn’t be there, Cyndy made herself available. I could not have asked for more in a pair of realtors. I wish all customer service experiences were this painless. I will recommend them to every friend/family member from here on out. – Courtney N.